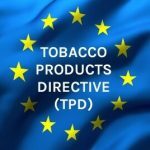 Si vous souhaitez recevoir une étude in extenso sur la e-cigarette, laissez-nous un message dans contact. Nous serons heureux de vous l’envoyer si elle est disponible. Goniewicz ML, Kuma T, Gawron M, Knysak J, Kosmider L.
Department of General and Analytical Chemistry, School of Pharmacy and Laboratory Medicine, Medical University of Silesia, Sosnowiec, Poland. Nicotine Tob Res. 2013 Jan;15(1):158-66. INTRODUCTION: The electronic cigarette (EC) is a plastic device that imitates conventional cigarettes and was developed to deliver nicotine in a toxin-free vapor. Nicotine in a solution is heated and vaporized when a person puffs through the device and is inhaled as a vapor into the mouth. The EC is a new product on the market and little is known about its safety and nicotine delivery efficacy. The aim of the study was to analyze nicotine levels in vapor generated from various EC brands and models. The study was designed to assess efficacy and consistency of various ECs in converting nicotine to vapor and to analyze dynamics of nicotine vaporization. METHODS: Sixteen ECs were selected based on their popularity in the Polish, U.K. and U.S. markets. Vapors were generated using an automatic smoking machine modified to simulate puffing conditions of real EC users. Nicotine was absorbed in a set of washing bottles with methanol and analyzed with gas chromatography. RESULTS: The total level of nicotine in vapor generated by 20 series of 15 puffs varied from 0.5 to 15.4 mg. Most of the analyzed ECs effectively delivered nicotine during the first 150-180 puffs. On an average, 50%-60% of nicotine from a cartridge was vaporized. CONCLUSIONS: ECs generate vapor that contains nicotine, but EC brands and models differ in their efficacy and consistency of nicotine vaporization. In ECs, which vaporize nicotine effectively, the amount inhaled from 15 puffs is lower compared with smoking a conventional cigarette. Electronic cigarette aerosol particle size distribution measurements. Ingebrethsen BJ, Cole SK, Alderman SL. Department of Chemistry, Medical Technology and Physics, Monmouth University, West Long Branch, NJ , USA. DOI: 10.3109/08958378.2012.744781. PMID: 23216158The particle size distribution of aerosols produced by electronic cigarettes was measured in an undiluted state by a spectral transmission procedure and after high dilution with an electrical mobility analyzer. The undiluted e-cigarette aerosols were found to have particle diameters of average mass in the 250-450 nm range and particle number concentrations in the 10(9) particles/cm(3) range. These measurements are comparable to those observed for tobacco burning cigarette smoke in prior studies and also measured in the current study with the spectral transmission method and with the electrical mobility procedure. Total particulate mass for the e-cigarettes calculated from the size distribution parameters measured by spectral transmission were in good agreement with replicate determinations of total particulate mass by gravimetric filter collection. In contrast, average particle diameters determined for e-cigarettes by the electrical mobility method are in the 50 nm range and total particulate masses calculated based on the suggested diameters are orders of magnitude smaller than those determined gravimetrically. This latter discrepancy, and the very small particle diameters observed, are believed to result from almost complete e-cigarette aerosol particle evaporation at the dilution levels and conditions of the electrical mobility analysis. A much smaller degree, ~20% by mass, of apparent particle evaporation was observed for tobacco burning cigarette smoke. The spectral transmission method is validated in the current study against measurements on tobacco burning cigarette smoke, which has been well characterized in prior studies, and is supported as yielding an accurate characterization of the e-cigarette aerosol particle size distribution. Comparison of electronic cigarette refill fluid cytotoxicity using embryonic and adult models. Bahl V, Lin S, Xu N, Davis B, Wang YH, Talbot P.
Environmental Toxicology Graduate Program, University of California, Riverside, CA 92521, United States; UCR Stem Cell Center, University of California, Riverside, CA 92521, United States; Department of Cell Biology and Neuroscience, University of California, Riverside, CA 92521, United States. Electronic cigarettes (EC) and refill fluids are distributed with little information on their pre- and postnatal health effects. This study compares the cytotoxicity of EC refill fluids using embryonic and adult cells and examines the chemical characteristics of refill fluids using HPLC. Refill solutions were tested on human embryonic stem cells (hESC), mouse neural stem cells (mNSC), and human pulmonary fibroblasts (hPF) using the MTT assay, and NOAELs and IC(50)s were determined from dose-response curves. Spectral analysis was performed when products of the same flavor had different MTT outcomes. hESC and mNSC were generally more sensitive to refill solutions than hPF. All products from one company were cytotoxic to hESC and mNSC, but non-cytotoxic to hPF. Cytotoxicity was not due to nicotine, but was correlated with the number and concentration of chemicals used to flavor fluids. Additional studies are needed to fully assess the prenatal effect of refill fluids. In Vitro Particle Size Distributions in Electronic and Conventional Cigarette Aerosols Suggest Comparable Deposition Patterns. Zhang Y, Sumner W, Chen DR.
School of Engineering & Applied Science, Washington University in St. Louis, St. Louis, MO. Nicotine Tob Res. 2012 Oct 4. 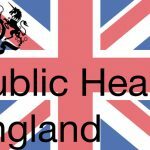 PMID: 23042984INTRODUCTION Electronic cigarette users (« vapers ») inhale aerosols of water, nicotine, and propylene glycol (PG) or vegetable glycerin (VG). Aerosol particle sizes should affect deposition patterns in vapers and bystanders. METHODS Aerosols were generated by a smoking machine and an electronic cigarette filled with 16mg/ml nicotine in aqueous PG or VG solution. A scanning mobility particle sizer (SMPS) counted particles of 10-1,000nm diameters. A single puff experiment counted particles immediately and after aging 10 and 40 s. A steady-state experiment counted particles emitted from a collection chamber, untreated and after desiccation or organic vapor removal. The International Commission on Radiological Protection (ICRP) human respiratory tract model was used to estimate deposition. Results were compared to similar data from reference cigarettes.RESULTS Puffs generated peak particle counts at (VG) 180nm and (PG) 120nm. Steady-state peaks occurred around 400nm. Organic vapor removal eliminated small particles and reduced the size and number of large particles. Desiccation reduced the total volume of particles by 70% (VG, small PG) to 88% (large PG). The ICRP model predicted 7%-18% alveolar delivery; 9%-19% venous delivery, mostly in the head; and 73%-80% losses by exhalation. Reference cigarettes generated more particles initially, but were otherwise similar; however, in vivo smoke particle deposition is higher than the model predicts. CONCLUSIONS Nicotine delivery may depend on vaping technique, particle evolution, and cloud effects. Predicted 10% arterial and 15% venous delivery may describe bystander exposure better than vapers exposure. Acute effects of electronic and tobacco cigarette smoking on complete blood count. Flouris AD, Poulianiti KP, Chorti MS, Jamurtas AZ, Kouretas D, Owolabi EO, Tzatzarakis MN, Tsatsakis AM, Koutedakis Y. FAME Laboratory, Institute of Human Performance and Rehabilitation, Centre for Research and Technology Thessaly, Trikala, Greece. Food Chem Toxicol. 2012 Oct;50(10):3600-3. DOI: 10.1016/j.fct.2012.07.025. PMID: 22858449The World Health Organisation called for research assessing the safety of electronic cigarette (e-cigarette). We evaluated the acute effect of active and passive e-cigarette and tobacco cigarette smoking on complete blood count (CBC) markers in 15 smokers and 15 never-smokers, respectively. Smokers underwent a control session, an active tobacco cigarette smoking session, and an active e-cigarette smoking session. Never-smokers underwent a control session, a passive tobacco cigarette smoking session, and a passive e-cigarette smoking session. The results demonstrated that CBC indices remained unchanged during the control session and the active and passive e-cigarette smoking sessions (P>0.05). Active and passive tobacco cigarette smoking increased white blood cell, lymphocyte, and granulocyte counts for at least one hour in smokers and never smokers (P<0.05). It is concluded that acute active and passive smoking using the e-cigarettes tested in the current study does not influence CBC indices in smokers and never smokers, respectively. In contrast, acute active and passive tobacco cigarette smoking increase the secondary proteins of acute inflammatory load for at least one hour. More research is needed to evaluate chemical safety issues and other areas of consumer product safety of e-cigarettes, because the nicotine content in the liquids used may vary considerably. Tobacco Dependence Research Unit, Wolfson Institute of Preventive Medicine, Queen Mary University of London, 55 Philpot Street, London, E1 2JH, UK. DOI: 10.1542/peds.2011-3448. PMID: 22987874BACKGROUND: Electronic cigarettes (e-cigarettes) are battery-powered devices developed with the goal of mimicking the action of smoking, including nicotine delivery, without the toxic effects of tobacco smoke. Little is known about the uptake of e-cigarettes among young people.METHODS: A survey was conducted with a cluster sample of 20240 students enrolled at 176 nationally representative Polish high schools and universities between September 2010 and June 2011. We estimated national e-cigarette prevalence among various demographic groups by using population weights. Multiple logistic regression was used to evaluate which demographic factors were independent predictors of 2 outcomes: ever use of e-cigarettes and use in the previous 30 days. RESULTS: Among high school students, aged 15 to 19 years, 23.5% had ever used e-cigarettes and 8.2% had done so within the previous 30 days. Among those in universities, aged 20 to 24 years, 19.0% had ever used an e-cigarette and 5.9% had done so in the previous 30 days. In multivariate analyses that controlled for covariates, smoking cigarettes, male gender, living in an urban area, and having parents who smoke were associated with ever use of e-cigarettes. Overall, 3.2% of never smoking students reported ever use of e-cigarettes. CONCLUSIONS: About one-fifth of Polish youth have tried e-cigarettes; most of them had previously smoked cigarettes. It is unclear whether e-cigarettes are just a novelty that young people try only once or whether they have potential to compete in the marketplace with conventional cigarettes. Patterns of electronic cigarette use and user beliefs about their safety and benefits: An Internet survey. Goniewicz ML, Lingas EO, Hajek P.
UK Centre for Tobacco Control Studies, Tobacco Dependence Research Unit, Wolfson Institute of Preventive Medicine, Queen Mary University of London, London, UK; School of Pharmacy and Laboratory Medicine, Medical University of Silesia, Sosnowiec, Poland. Drug Alcohol Rev. 2012 Sep 20. INTRODUCTION AND AIMS: As the popularity of electronic cigarettes (e-cigarettes) increases, it is becoming important to find out more about the characteristics of e-cigarette users, why and how they use the product and whether e-cigarettes are used exclusively or in combination with conventional cigarettes. The objective of this study was to investigate patterns and effects of e-cigarette use and user beliefs about e-cigarette safety and benefits. DESIGN AND METHODS: E-cigarette users in Poland were recruited online and asked to participate in a web-based survey. The participants provided information on their smoking history, patterns of e-cigarette use, beliefs and attitudes regarding the product and information on concurrent use of conventional cigarettes. RESULTS: The survey was completed by 179 e-cigarette users. Almost all participants used e-cigarettes daily. E-cigarettes were primarily used to quit smoking or to reduce the harm associated with smoking (both 41%), and were successful in helping the surveyed users to achieve these goals with 66% not smoking conventional cigarettes at all and 25% smoking under five cigarettes a day. Most participants (82%) did not think that e-cigarettes were completely safe, but thought that they were less dangerous than conventional cigarettes. Sixty percent believed that e-cigarettes were addictive, but less so than conventional cigarettes. DISCUSSION AND CONCLUSIONS: The participants primarily used e-cigarettes as a stop-smoking aid or as an alternative to conventional cigarettes, and the majority reported that they successfully stopped smoking. More data on e-cigarette safety and its efficacy in harm-reduction and smoking cessation are needed. © 2012 Australasian Professional Society on Alcohol and other Drugs. The electronic-cigarette: effects on desire to smoke, withdrawal symptoms and cognition. Dawkins L, Turner J, Hasna S, Soar K.
School of Psychology, University of East London, Water Lane, Stratford, London, England, United Kingdom. The electronic cigarette: what proportion of smokers have tried it and how many use it regularly ? 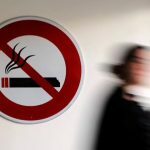 Kralikova E, Kubatova S, Truneckova K, Kmetova A, Hajek P.
Does e-cigarette consumption cause passive vaping ? Schripp T, Markewitz D, Uhde E, Salthammer T.
Department Material Analysis and Indoor Chemistry, Fraunhofer Wilhelm-Klauditz-Institut (WKI), Braunschweig, Germany. Indoor Air. 2012 Jun 2. Electronic cigarette consumption (‘vaping’) is marketed as an alternative to conventional tobacco smoking. Technically, a mixture of chemicals containing carrier liquids, flavors, and optionally nicotine is vaporized and inhaled. The present study aims at the determination of the release of volatile organic compounds (VOC) and (ultra)fine particles (FP/UFP) from an e-cigarette under near-to-real-use conditions in an 8-m(3) emission test chamber. Furthermore, the inhaled mixture is analyzed in small chambers. An increase in FP/UFP and VOC could be determined after the use of the e-cigarette. Prominent components in the gas-phase are 1,2-propanediol, 1,2,3-propanetriol, diacetin, flavorings, and traces of nicotine. As a consequence, ‘passive vaping’ must be expected from the consumption of e-cigarettes. Furthermore, the inhaled aerosol undergoes changes in the human lung that is assumed to be attributed to deposition and evaporation. PRACTICAL IMPLICATIONS: The consumption of e-cigarettes marks a new source for chemical and aerosol exposure in the indoor environment. To evaluate the impact of e-cigarettes on indoor air quality and to estimate the possible effect of passive vaping, information about the chemical characteristics of the released vapor is needed.© 2012 John Wiley & Sons A/S. McCauley L, Markin C, Hosmer D.
Department of Internal Medicine, Legacy Good Samaritan Medical Center, Portland, OR 97210, USA. Univerzita Karlova v Praze, 1. lékarská fakulta, Ustav hygieny a epidemiologie VFN, Praha. Electronic cigarette (e-cigarettes) belongs to the « ENDS (Electronic Nicotine Delivery Systems), ie systems that deliver nicotine electronically. Extract of tobacco does not burn, just warm. Vapors may or may not contain nicotine. E-cigarettes are also available with different flavors. They don’t produce a classic smoke. There is a large variability of these products. It seems that the initial negative position has to be reconsidered. Although there has been demonstrated trace amounts of several toxic substances in the vapor, the risk compared to traditional smoking is minimal. Moreover, lately it was shown that they can really contribute to smoking quitting. The legislative framework varies considerably, from the prohibition on sales to the recommended assistance in quitting. In the CR they are included according to the Act 379/2005 in 2009 among the tobacco products. Caponnetto P, Campagna D, Papale G, Russo C, Polosa R.
Expert Rev Respir Med. 2012 Feb;6(1):63-74. Clinical laboratory assessment of the abuse liability of an electronic cigarette. Vansickel AR, Weaver MF, Eissenberg T.
Electronic-cigarette smoking experience among adolescents. Cho JH, Shin E, Moon SS. J Adolesc Health. 2011 Nov;49(5):542-6. Effect of an electronic nicotine delivery device (e-Cigarette) on smoking reduction and cessation : a prospective 6-month pilot study. Polosa R, Caponnetto P, Morjaria JB, Papale G, Campagna D, Russo C.
BMC Public Health. 2011 Oct 11;11:786. Electronic cigarette: users profile, utilization, satisfaction and perceived efficacy. Identification of amino-tadalafil and rimonabant in electronic cigarette products using high pressure liquid chromatography with diode array and tandem mass spectrometric detection. Hadwiger ME, Trehy ML, Ye W, Moore T, Allgire J, Westenberger B.
J Chromatogr A. 2010 Nov 26;1217(48):7547-55. A clinical laboratory model for evaluating the acute effects of electronic « cigarettes »: nicotine delivery profile and cardiovascular and subjective effects. Vansickel AR, Cobb CO, Weaver MF, Eissenberg TE. Cancer Epidemiol Biomarkers Prev. 2010 Aug;19(8):1945-53. Nicotine electronic cigarette sales are permitted under the Smokefree Environments Act. N Z Med J. 2010 Jan 23;123(1308):103-5. Jacot Sadowski I, Cornuz J.
Rev Med Suisse. 2009 Jul 1;5(210):1457-61. Patterns of smoking and methadone dose in drug treatment patients. Richter KP, Hamilton AK, Hall S, Catley D, Cox LS, Grobe J.
Exp Clin Psychopharmacol. 2007 Apr;15(2):144-53. Effect of a nicotine free inhalator as part of a smoking cessation program. Caponnetto P, Cibella F, Mancuso S, Campagna D, Arcidiacono G, Polosa R.
Electronic nicotine delivery systems: a research agenda. Etter JF, Bullen C, Flouris A, Laugesen M, Eissenberg T.
Smoking Cessation with E-Cigarettes in Smokers with a Documented History of Depression and Recurring Relapses. Caponnetto P, Polosa R, Auditore R, Russo C, Campagna D.
International Journal of Clinical Medicine, 2011, 2, 281-284. Safety Assessment of Electronic Cigarettes in Smokers. Miura K, Kikukawa Y, Nakao T, Tokai H, Izumi Y, Fujii H, Taisuke Hojo T.
SEIKATSU EISEI (Journal of Urban Living and Health Association). Vol. 55 (2011) , No. 1 p.59-64. Subjective and reinforcing effects of electronic cigarettes in male and female smokers. Darredeau C, Campbell M, Temporale K, et al. 12th annual meeting of the Society for Research on Nicotine and Tobacco Europe. Bath, UK, 2010. A clinical laboratory model for evaluating the acute effects of electronic « cigarettes » : nicotine delivery profile and cardiovascular and subjective effects. Cancer Epidemiol Biomarkers Prev. 2010 Aug;19(8):1945-53. Epub 2010 Jul 20. Bullen C, C, McRobbie H, Thornley S, Glover M, Lin R, Laugesen M.
Known Fact: Electronic Cigarettes Deliver Nicotine More Slowly. Tob Control. Replies to « Electronic nicotine delivery devices. » Published 18 Mar 2010. Electronic nicotine delivery devices: ineffective nicotine delivery and craving suppression after acute administration. Pulmonary delivery of nicotine pyruvate: sensory and pharmacokinetic characteristics. Rose JE, Turner JE, Murugesan T, Behm FM. Poster, Society for Research on Nicotine and Tobacco 16th annual conference, Baltimore, 27 February 2010. « It sounds like the replacement I need to help me stop smoking »: Use and acceptability of « e-cigarettes » among UK smokers. Dockrell M, Indu SD, Lashkari HG, McNeill A. Electronic cigarette : users profile, utilization, satisfaction and perceived efficacy. Electronic cigarettes: a survey of users. Patterns of use of electronic nicotine delivery devices (ENDS) among Polish e-smokers. Goniewicz ML, Zielinska-Danch W, Koszowski B, Czogala J, Sobczak A. Electronic cigarettes (e-cigarettes) as potential tobacco harm reduction products: Results of an online survey of e-cigarette users. Heavner K, Dunworth J, Bergen P, Nissen C, Phillips CV. 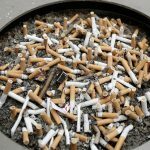 Tobacco Harm Reduction 2010: a yearbook of recent research and analysis. A production of TobaccoHarmReduction.org. Interviews with « Vapers »: Implications for Future Research With Electronic Cigarettes. McQueen A, Tower S, Sumner W.
Nicotine & Tobacco Research 2011. DOI: 10.1093/ntr/ntr088. Electronic cigarettes as smoking cessation tool: Results from an Online Survey. Siegel MB, Tanwar KL, Wood KS. American Journal of Preventive Medicine 2011 Apr; 40(4):472-5. Study to Determine Presence of TSNAs in NJOY Vapor. Ben Thomas Group, LLC. December 9, 2009. Chemical Composition of « Instead » Electronic Cigarette Smoke Juice and Vapor. Alliance Technologies. 9 December 2009. 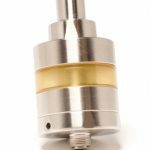 Characterization of Regal Cartridges for Electronic Cigarettes – Phase II. Alliance Technologies. 12 November, 2009. Characterization of Regal Cartridges for Electronic Cigarettes. Alliance Technologies. 23 September 2009. Comparison of vapor components to cigarette smoke toxicants. Technical Review and Analysis of FDA Report: « Evaluation of e-cigarettes ». Exponent Health Sciences, July 30, 2009. Gas Chromatography Mass Spectrometry (GC-MS) Analysis Report. Job Number C09Y8961. vans Analytical Group. 21 Jul 2009. Characterization of Liquid « Smoke Juice » for Electronic Cigarettes. Alliance Technologies. 15 July 2009. Final Report « Evaluation of e-cigarettes ». Poster 5-11, Society for Research on Nicotine and Tobacco (SRNT) Dublin, April 30, 2009. Safety Report on the Ruyan® e-cigarette Cartridge and Inhaled Aerosol. Christchurch, New Zealand, Health New Zealand Ltd. 10-30-2008. Second Safety Report on the Ruyan® e-cigarette Cartridge and Inhaled Aerosol. Christchurch, New Zealand, Health New Zealand Ltd. 9 Apr 2008. « Super Smoker » Expert Report Final Report. University of Leuven Toxicology Laboratory. 29 June 2007. Materials Characterization Report-Crown 7 Electronic Cigarette. I have been browsing on-line more than 3 hours these days, but I by no means found any fascinating article like yours. Hey there! I’ve been reading your weblog for some time now and finally got the courage to go ahead and give you a shout out from Lubbock Tx! Just wanted to mention keep up the fantastic job!